The Ford F-150 comes in a broad range of models, yet they all seem to have nicely balanced suspensions that make them enjoyable to drive and well-designed, comfortable cabs. They offer a quiet and refined ride over dirt roads, rough pavement and freeway slabs. Yet they also offer controlled handling, with a minimum of body roll in corners. The steering is responsive for cornering and these trucks track like a laser beam on the highway. Brakes are smooth and responsive. The big 5.4-liter V8 is smooth and quiet, and delivers quick acceleration. It's rated at 300 horsepower and 365 pound-feet of torque and 15/19 mpg City/Highway. The 4.6-liter V8 and 4.2-liter V6 engines perform well, also. The F-150 comes in six distinct variants to meet the different needs of a wide range of owners. Within those variants are three cab choices, three bed lengths, three bed styles, and a choice of powertrains. Ford claims more than 60 possible variations. All are thoughtfully designed to address the distinct needs and wants of individual buyers. The F-150 is known for its toughness, strength, and cargo capacity, while offering interior design and comfort. Its amenities show attention to detail. The base XL is surprisingly nice inside. The FX4's optional captain's chairs are comfortable. The Lariat is classy and nicely equipped, with every known amenity. The King Ranch has a western feel that's very inviting. The SuperCrew features a back seat that's roomy and comfortable for adults. The SuperCrew offers 39.0 inches of rear legroom, compared with 32.7 inches for the SuperCab. Seat comfort has been enhanced for 2007. A tire-pressure monitoring system now comes standard. Lariat and XLT models get new grilles for 2007. A 5.4-liter E85 flexible fuel V8 is available, and power for the 4.6-liter V8 is increased for 2007. A new DVD navigation system and Sirius satellite radio are available, and an auxiliary audio input jack is now standard on most models. Power folding mirrors are now available on 2007 FX4 and Lariat models, a useful feature for parking in tight quarters. Towing and hauling capacities have been increased for 2007, and Ford claims the F-150 is the most capable truck in its class. 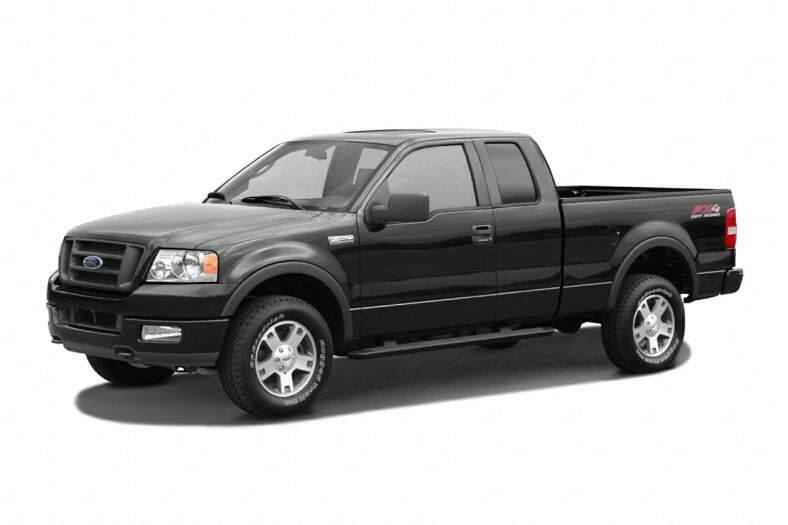 Properly equipped, a 2007 Ford F-150 can tow 10,500 pounds or haul more than 3,050 pounds in the bed.